If you need to speed up computations on your NetBurner module but don’t know where to start, you’re in the right place. 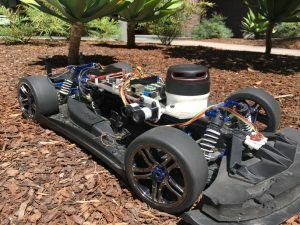 During my intern project developing a 1/8-scale autonomous vehicle, I hit a brick wall when computationally intensive tasks started to fail. Instead of accepting that I had reached the limit of the board’s performance, I decided to buckle down and managed to decrease the runtime of computationally intensive tasks by an order of magnitude. This article will discuss the simplest things we can do to measure and improve performance. The provided code is designed to run on a NetBurner module but techniques discussed can be applied to any embedded development project.